The former TMC leader, known for his organisational skills, joined the BJP in the presence of Union minister Ravi Shankar Prasad and party general secretary Kailash Vijayvargiya. 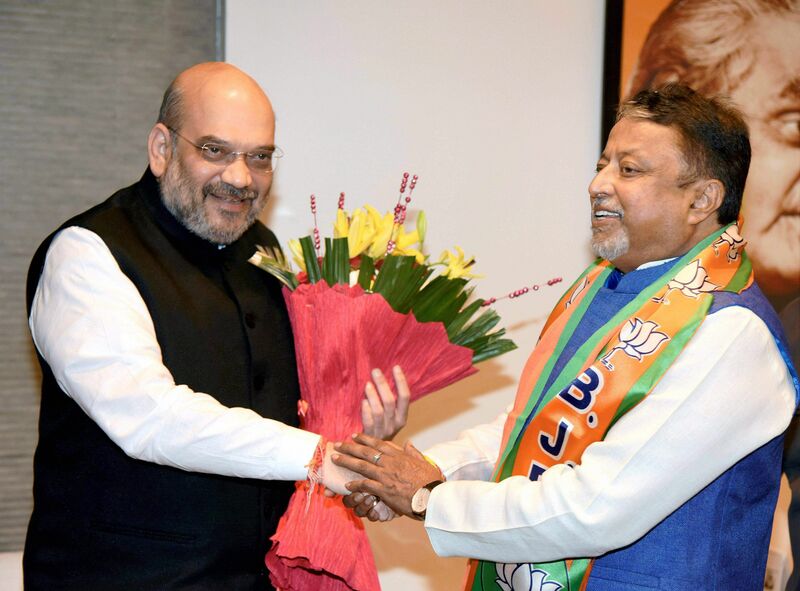 KOLKATA: Trinamool Congress founder and the party’s once second most powerful leader Mukul Roy, well known for his mass mobilisation skills, joined BJP in New Delhi on Friday. Roy, an accused in both Saradha and Narada scams, resigned from the party on October 11. He had said that he did not wish to remain a ‘slave’ under party supremo Mamata Banerjee and indicated that he would join the saffron party. Speaking to the media after joining the party in the presence of Union law minister Ravi Shankar Prasad, Mukul Roy said that people of West Bengal are yearning for a change. “I don’t consider BJP as a communal party. Trinamool Congress was established in 1997 with the support of BJP and we fought our first Lok Sabha election in 1998 and then again in 1999 as ally of BJP ,” he said. On asked about the investigations against him in both the scams, Mukul Roy said that law will take its own course and he will respect the decision of the law. Ravi Shankar Prasad said that Mukul Roy was instrumental in establishment of TMC and taking it forward and was responsible for downfall of the Left Front rule in West Bengal. “BJP is expanding its footprint and Mukul Roy’s mobilisation skills will help our party expand in West Bengal,” he said. 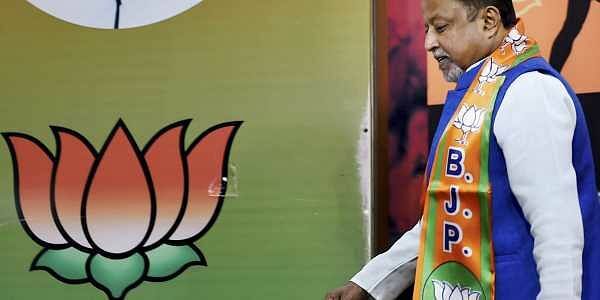 West Bengal BJP state president Dilip Ghosh said that Mukul Roy will increase the strength of BJP in the state. However, he made it clear that BJP won’t be responsible for Roy’s alleged involvement in the scams. “Any individual accused of any scam has to own responsibility. BJP will not go against any law. However, allegations against Mukul Roy have not been proved and we would respect the decision of the court. If proven guilty, the accused has to quit the party,” he said. The party is likely to task him with an important responsibility to drive its growth in the eastern state, where it has been traditionally weak. However, it is not clear yet what role he will have in the organisation. "His role will be decided," BJP general secretary Kailash Vijayvargiya, who is the party's in-charge for the state, said. The BJP will expand further in the state with Roy's indunction, Prasad said. Asked about corruption allegations against him, Roy said the law will take its own course.